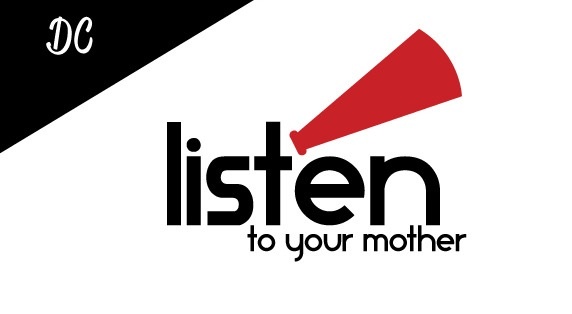 I'll be in the cast of the DC production of Listen to Your Mother at the Synetic Theater in Arlington. The show starts at 2 pm and it is going to be amazing. I am in some incredible company with some fantastic writers and some good friends. You can buy your tickets online. A portion of proceeds from the show go to the Inflammatory Breast Cancer Research Foundation in Susan Niebur's name. I can't tell you what I'll be reading, but I can tell you that it is one of my favorite things that I've written. 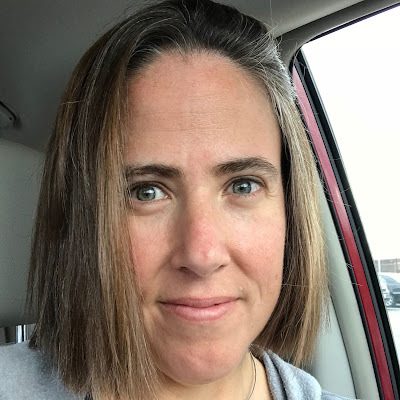 Last week, I answered some questions on the LTYM DC website, and I thought I would share them with you here too. LTYM: When did you first hear about LTYM? Why did you decide to audition? Jean: I first heard about it last year when I saw some buzz about it online. When I heard that it was coming to DC this year and that two of my favorite people were producing and directing it, it was a no-brainer. The piece I’m reading is really important to me and is a message that I try to get out all the time. To be able to deliver it to a room full of mostly parents? It’s a dream. Also, I have an enormous ego, so forcing a room full of people to listen to me is awesome. LTYM: When did you first start to feel like a mother? Jean: The first time I had to write a note to excuse my kid for being absent from school. I was struck by this intense feeling of, who the hell put me in charge of these actual human beings?! LTYM: What is the craziest thing you’ve ever said to your kids? Jean: Today? “Just because the sausage patty is on a fork doesn’t mean it is good manners to hold it near your mouth and nibble on it.” Ever? More than I can remember. My family life is an exercise in absurdity, from the time I was catching my runaway dog (who had run INTO the neighbors’ house) only to turn around to see my toddler crossing the street by himself…while holding scissors—to the time a couple weeks ago, when I had to drag my 8-year-old out of a different neighbor’s house after he’d climbed the fence into their yard, gone into their living room, and basically decided to live there. Mostly instead of saying crazy things to my kids, you will catch me mumbling under my breath, “This was the worst idea ever,” and maybe sobbing softly. LTYM: What is your biggest parenting challenge right now? Jean: My kids are intense. I often say that we are a neurodiverse family (usually while waving my hands in the air and making high pitched laughing noises as I try to corral my kids in a public place). I have a son with ADHD, a son with autism, and a son with…quirkiness. I myself have my own issues, something my husband referred to the other day as my “neurological widgy-wudgy.” Sounds about right. We’re not your typical family, and we are all trying to find a way to make our way in a world that isn’t always friendly to people with invisible disabilities. My biggest parenting challenge is making sure that other people value my kids for who they are, including and especially, the public school system. Finding the right educational environment for kids outside the norm is really hard and it is a battle that takes place for at least 13 years. I am on year four. As with any parenting challenge though, you have to look at the essence of your child and know that the little soul in there is worth everything. It’s not always easy, but it’s always worth it. LTYM: What do you most wish for your boys’ future? Jean: I want them to be happy. That is all. I don’t care how it comes to them or what shape it takes. I just want them to be happy. I jokingly complain a lot about my kids. I whine. I cry. I acknowledge that parenting is the most difficult thing I have ever tried to do. But even on their worst day, those kids are such a gift to me. I am the luckiest mom in the world to get to parent them. They make me laugh, they make me cry, they make me think. All I can hope to do to repay them for the great honor of being their mother is to try to give them the tools to create their happiness. Hey, friends! I am so grateful to every single one of you who donated to the Cheetahs. I can't tell you how much every single donation meant to me. (Thank you to the newest donor, Curt and family. You took my breath away today.) I looked at every name and thought about how wonderful you are for seeing how much the Cheetahs mean to Jack and the rest of my family and stepped up to help us. Really, from the bottom of my heart, thank you. If any of you donated $50 or more and haven't gotten an email from me asking for your t-shirt size, drop me a line so I can make sure you get yours! Also, the actual Cheetah-thon is coming up on May 12, so if you want to join us, you can register online! I promise to stop hounding you about stuff come mid-May. By then, frankly even *I* will be tired of me. Stimey, it is killing me - KILLING ME! - that the DC LTYM is the EXACT same day & time as NYC, because when this thing started, with Kate & Stephanie producing/directing I knew so many of my friends were going to be in the show - and they are. DC is just a hop skip & jump from NY and I was so: Yay! I'll get to see the DC show with all my friends in it. We had our date early & then when you announced yours I was all NOOOOOOOOOOOOOOOO! Sigh. So I will have to make do with watching you on YouTube instead. We had our 2nd rehearsal today & I couldn't be happier with our show. I know yours is going to be simply amazing, too. Break a leg, babe! mother is to try to give them the tools to create their happiness." -- So, so beautiful!!! I am SO SO sorry to miss this show...it's a big birthday for my dad and we haven't visited my parents since Christmas so will be up in PA. I know you'll be fabulous! And, I hope you'll share what you read. I am so sorry I can see this show, but we have had a prior commitment on the books forever. I love your q&A on parenting. No matter how hard it gets nothing in life has ever ben more rewarding. It'll be on YouTube? I can't wait. Next year we'll coordinate. :) That is always the way, isn't it? Your show is going to be fantastic too! You break a leg as well! And this is why I adore you. I love you so much and don't say it often enough! I can't wait for Listen to Your Stimey!! !